With all the traveling I’ve been doing lately, you’d think I want to sleep in my own bed when I’m in London. True…But then, I don’t get breakfast in bed when I’m at home. And even though I’ve been living in this apartment for over a year, my bedroom just doesn’t look as nice as some trendy hotel rooms. So I figured that the May Bank Holiday weekend was the perfect time for another London ‘staycation’. And this time I was checking in at The Hoxton in Shoreditch. And what an amazing hotel room it was! When I said that my own bedroom can’t compete I wasn’t kidding. I loved the dark walls with the bright orange leather sofa and red bed lights. The bed is super comfy, the bathroom luxurious with a nice rain shower and – very important – the WiFi connection is not only free, but also fast. For me a nice hotel stay isn’t complete without a proper breakfast. Or even better: breakfast in bed! At The Hoxton they deliver a (free) ‘breakfast bag’ right at your door. You hang the empty paper bag outside your door with the time you’d like your breakfast and it’s waiting for you when you wake up. What a service! On a normal day this breakfast would definitely have been enough. But it was a Bank Holiday weekend, so I felt like treating myself to a nice brunch downstairs at the Hoxton Grill. After finishing my second breakfast of the day, it was time to get back on the Northern Line and go home. That’s the best part about staycations, you never need to travel far. 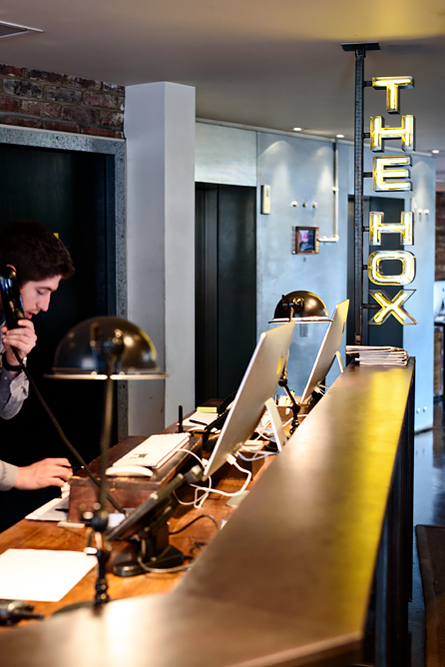 The Hoxton in Shoreditch was the first hotel they opened in 2006. Since then they’ve opened another London hotel in Holborn, their Amsterdam hotel is opening in July and there are plans for a New York and Paris edition. Forget about not having to travel, I want to try them all! 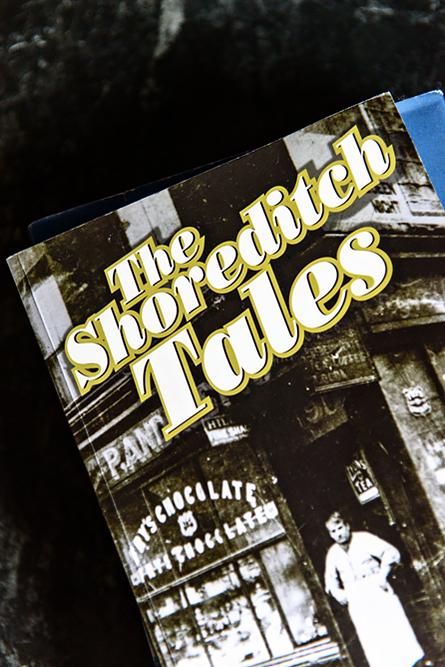 Disclaimer: I was a guest of The Hoxton for the purpose of this review. All photos, writing and opinions are my own.